Welcome back to New Earrings Monday! Sarajo of SJ Designs came up with the wonderful idea to make at least one pair of earrings every week and then to share them every second Monday. I jumped onto the bandwagon a bit late but it has encouraged me to make up some earrings. 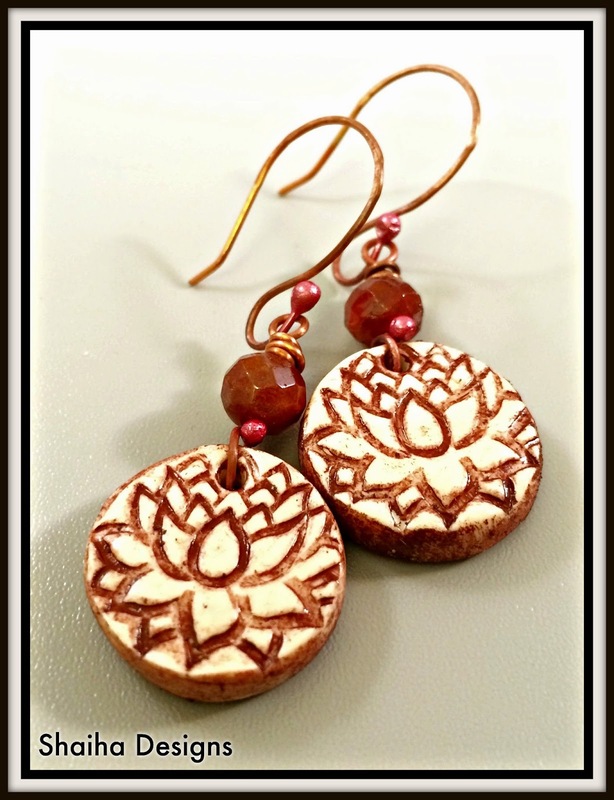 These earrings feature lotus flower charms from Kristi Bowman, beautiful garnets in a rich marsala color and copper handmade findings. You can find them up at Shaiha Designs. 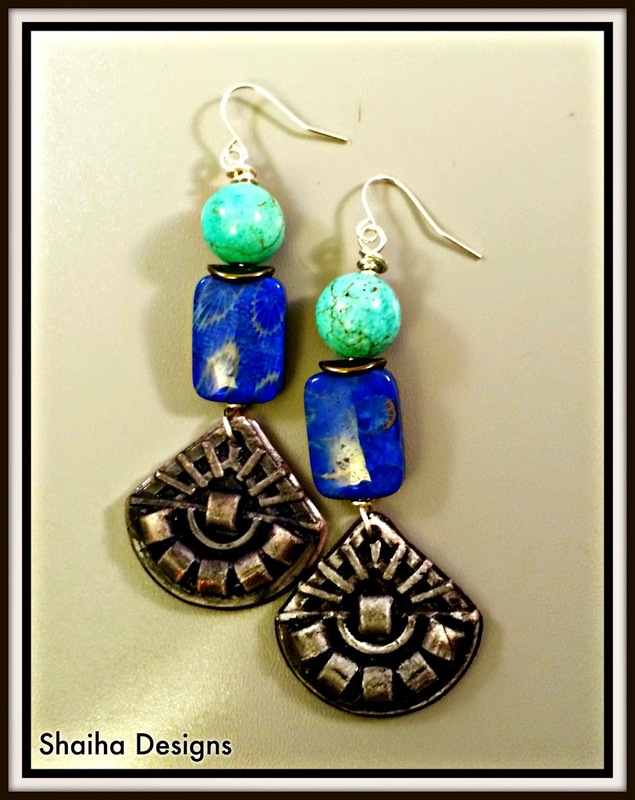 To check out all the other beautiful pairs of earrings and to learn more about this biweekly challenge, just click here. LOVE both pairs this week, Shaiha! I'm not sure I could let go of that first set either... they are some of my favorite colors too and take me back to the Bead Cruise and tropical waters. You've created the perfect compliment to Kristi's charms in the second pair too. Swoon! Thanks for playing along with me! Beautiful earrings, Shaiha! I love the colors and the way you feature the beads. I too think you should keep the blue ones.